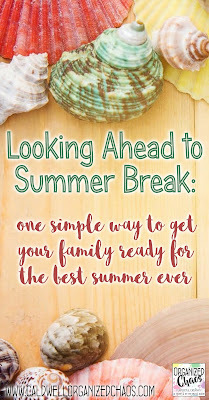 Although I make it a point not to count down to vacations, there is still definitely a certain amount of planning that has to happen as summer break approaches! 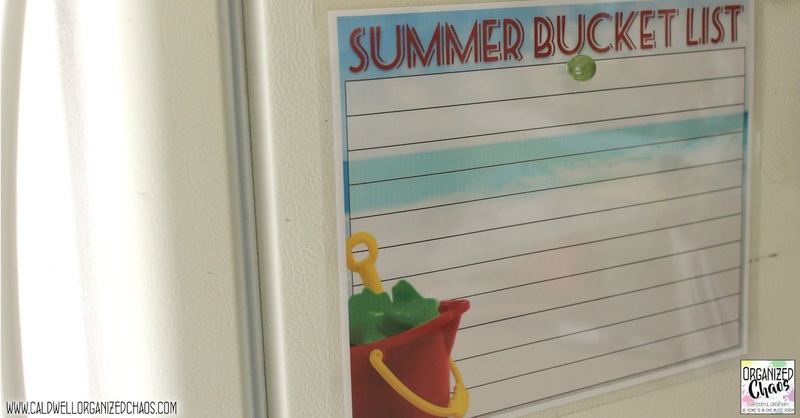 One simple tool I use that helps us to think ahead as a family is our summer bucket list. 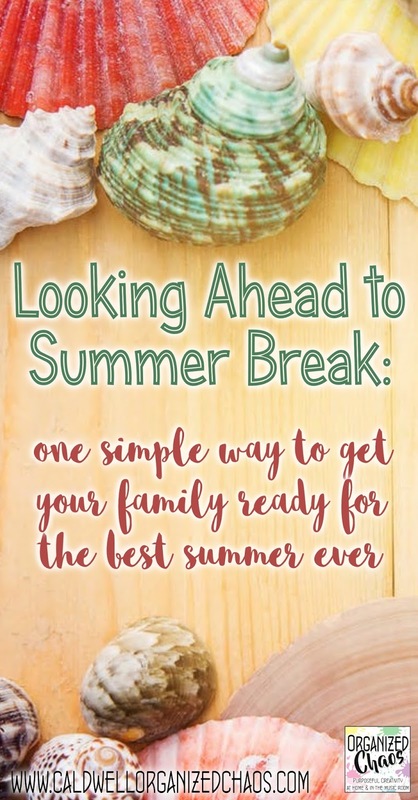 It's an easy trick but it can really help you feel more prepared going into summer vacation, and it can help the whole break go more smoothly as well! I laminated the printout (I'm using the one included in my summer organizer) so that I could use dry erase markers on it- any dry erase surface will work (here's a post I wrote a long time ago on DIY dry erase boards). I do this so that as I firm up plans, whether it's booking a trip or setting a firm time with a friend, or actually complete the item, I can erase it from the bucket list (and move it into my planner or calendar). If we change our minds or think of new ideas, we can easily change or add to our list throughout the summer. Having a visible, written list (ours is on our fridge) is helpful for a few reasons. It's a daily reminder of the goals we have, so we don't forget about them in the busyness of life. It's also a quick place to look on those days when we're feeling bored or just need a change of pace. 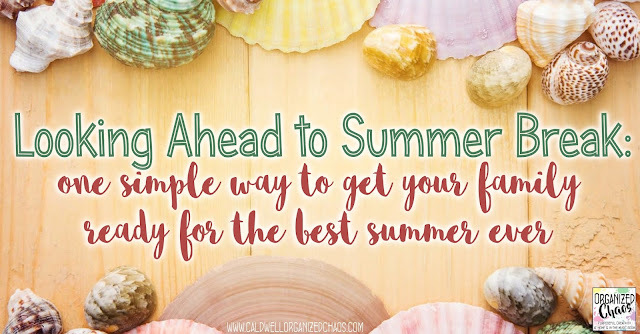 Try it- I think you'll be surprised at how such a simple trick can help you get more out of your summer vacation! Looking for more tips to get ready for summer? This blog post has a lot more ideas to help you plan ahead without over-structuring your vacation :) Want more? Sign up here for the Organized Chaos Newsletter and get more ideas and resources sent straight to your inbox!